Sudoku lovers and even those who aren’t can have a lot of fun with Futoshiki for Kindle. Braintonik Games has done it again with another cool game for Kindle. The twist that makes this game so much better than Sudoku is that it includes signs in different points on the 5×5 or 7×7 grid. As one who avoids math at all costs, this is a little intimidating for me, but I know there are many who will see it as a rewarding challenge. The structure of the game is pretty much the same as it is for most Kindle games. There are four levels: easy, medium, hard and expert. All levels have 5×5 grids except for expert, which has a 7×7 grid. You also have hints that can get you out of a tough move. So the object of the game is to fill the grid with unique numbers, but remember, you must factor in the signs to complete the puzzle. Navigation seems to be well done, and these grid type games are a good fit for the black and white, linear Kindle platform. Make good use of the annotations feature, but careful about your input because sometimes you can get offline. Making notations is especially helpful for expert levels. The only major complaint about Futoshiki is that there aren’t enough levels. But, I’m sure that issue will be resolved at some point. Great game overall with mostly 5 star reviews, and is only a buck. 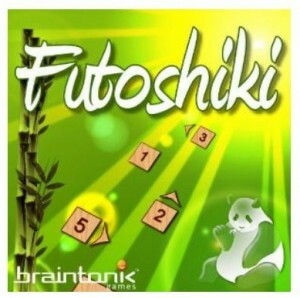 This entry was posted in Kindle Applications, Kindle Apps and tagged braintonik games, Futoshiki, puzzle games by holly. Bookmark the permalink.